We are a family run business with generations of horticultural expertise. Walk through the gates into our idyllic Victorian walled gardens, and discover a true plant lovers haven. Browse and be inspired whether you are an inexperienced novice or a professional designer / landscaper you can create imaginative schemes for any outdoor living space. Remember we are always on hand to offer expert advice and tips so you get the ''right plant for the right place''. Not every plant here is enormous or exotic, we always have a huge selection of ''normal'' plants from bedding plants to starter size alpines and perennials to shrubs and small trees. We have many of the very latest varieties of perennials and shrubs, along with hardy exotics such as Bamboos,hardy Palms, and Tree Ferns. Of course, we also grow all the plants you know and love. Our prices are as surprising as our range! 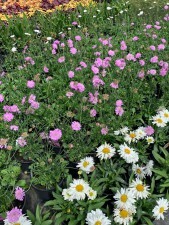 From the smallest of Alpines to Shrubs, trees, Perennials, Climbers, and large specimens, with of course plenty of colourful seasonal bedding & basket plants. Helping you to create a varied palette of colour & form in your home and garden. With foliage, flowers & architectural structure, you will always find something to brighten your garden, patio, borders & indoor space, whatever the season. 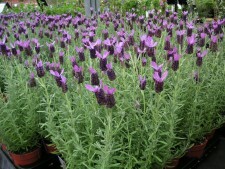 Plenty of stunning shrubs and garden plants includingto choose from including Pansy, Wallflowers and bulbs. 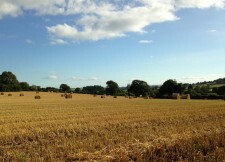 The nursery is located in an enviable position, nestled in the heart of the beautiful Cheshire countryside, between the small villages of Comberbach and Anderton just half a mile from the famous Anderton boat lift & Northwich. We always have a good range of house plants to brighten the home or conservatory. 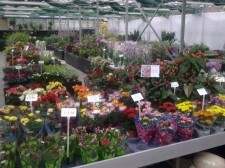 Ideal gifts grown in a nursery not a factory. We do not have piped music, giftware, scented candle or carpets! We do have thousands of interesting and lovely plants in all shapes and sizes. People who love plants will really enjoy a visit! The Anderton Boat Lift near the village ofAnderton, Cheshire in north-west England provides a 50 feet (15.2 m) vertical link between two navigable waterways: the River Weaver and the Trent and Mersey Canal. Built in 1875, the boat lift was in use for over 100 years until it was closed due to corrosion in 1983. Restoration started in 2001 and the boat lift was re-opened in 2002. The lift and associated visitor centre and exhibition( info@andertonboatlift.co.uk /01606 786777) are operated by British Waterways. It is one of only two working boat lifts in the United Kingdom.